The village's third pioneering enterprise, Loudoun Mutual Insurance Co., was founded in 1849 and incorporated by the General Assembly. The first policy was issued for the house once lived in by Amos Janney, then owned by James M. Walker. Loudoun Mutual still writes insurance on the house. In 1849, the growing town of Waterford, Virginia was in need of an insurance company to protect its citizens against fire losses. 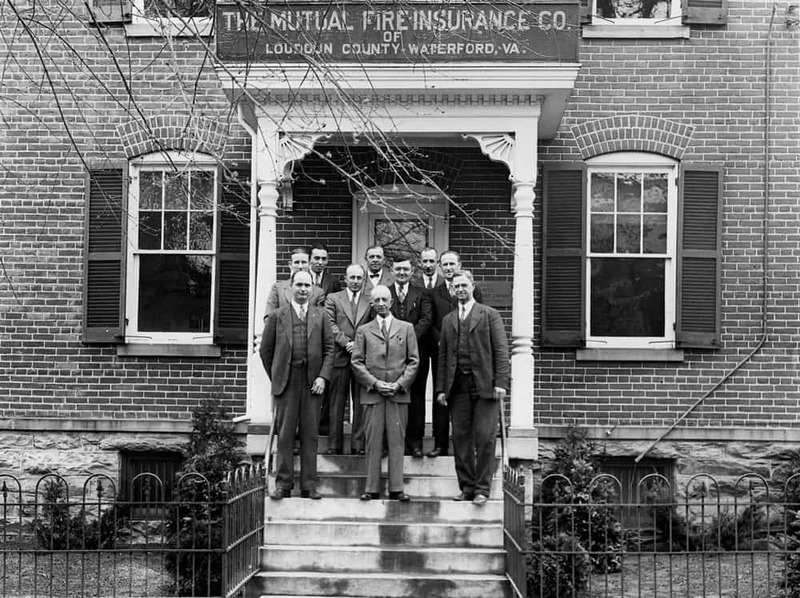 A group of Waterford leaders and businessmen established the Mutual Fire Insurance Company of Loudoun County, now known as Loudoun Mutual Insurance Company. Loudoun Mutual's beginnings were small. The yearly rent for its first office was $25 per year, including the wood stove and firewood. Initially, the company's vision was to serve the people of Loudoun County with affordable coverage. The company's original mission was to provide fire and lightning insurance, as big-city insurance firms were reluctant to insure rural village and farm buildings at reasonable rates. Past president Robert Donaldson added that company officials "were dealing with their friends and neighbors, and they didn't want to see how much they could collect." 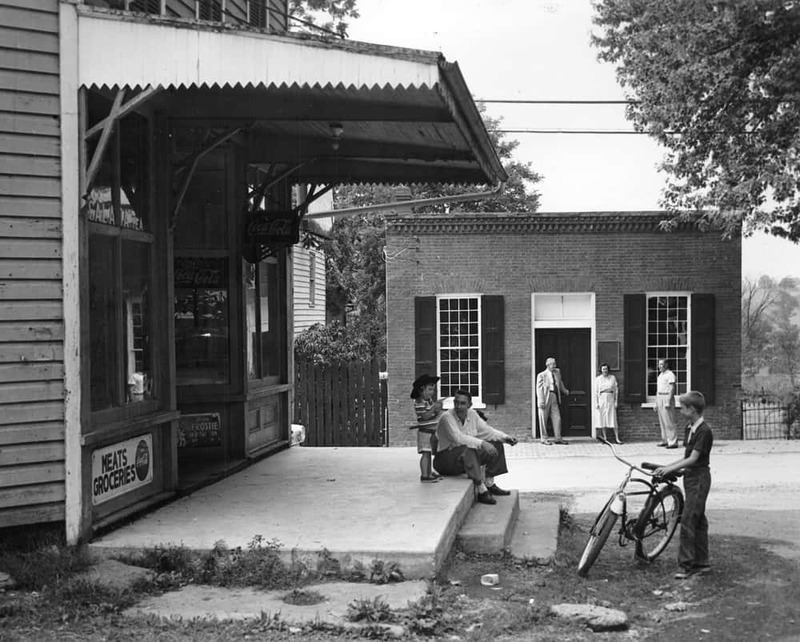 Indeed, the first claim came in 1854 on Charles Fadeley's Leesburg livery stables. He was paid $100, and the company donated $50 to the Leesburg Fire Company "for their exertions in suppressing the fire." In the early years, Loudoun Mutual survived the Civil War, though it was a struggle. Unlike the bank, Loudoun Mutual relied on a broad spectrum of geography to build profits, and by 1861, it had insured structures in 17 Virginia counties. Other companies, still in existence, followed its model after the war: Rockingham Mutual in 1869, Augusta Mutual in 1870 and Shenandoah Mutual in 1877. Loudoun Mutual remains the only insurance company in Loudoun and Fauquier counties. The post-war years brought about rapid growth and the company began to expand beyond Loudoun County, establishing customers in other Virginia counties. The company's success made more space a necessity and in 1872, it moved into a new office building constructed for $1,400. Old photo of the insurance building built in 1872. The Corner Store is on the left. Times changed and so did society. The advent of such inventions as the match brought about new challenges. Because of greater fire losses caused by the small wooden sticks, Loudoun Mutual had to increase its' premiums. When stove pipes became a low-cost alternative to stone chimneys, the company was forced to insist that the addition of the new device to a home would void coverage. Typical annual insurance rates in the mid-19th century were: 3 percent of 75 percent of the building's value for a stone or brick house; 5 percent for a barn without a lightning rod; 7 percent for a church; 8 percent for a school; 11 percent for a bridge; and 13 percent for a mill. After the Civil War, rates rose as much as 2 percent, and buildings with slate or metal roofs received a 1 percent discount. The company refused to insure distilleries or "buildings in which a stove pipe pokes through the side wall or roof." Loudoun Mutual employees at their third location on Patrick Street. The building was used from 1920-1949. This last prohibition was lifted in 1872, when the company's first home office had a stove pipe poking through the wall. 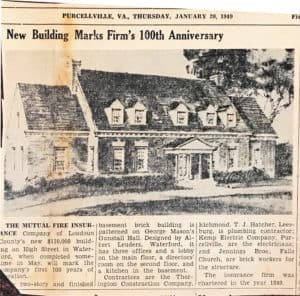 In 1910, Loudoun Mutual had moved once more into a larger office and was adjusting to the changes brought about by the Industrial Revolution. Electricity was the rage, though not without risk. After careful consideration, Loudoun Mutual decided not to raise premiums for those who added electric lights to their homes, provided they were installed correctly. In 1949, on its 100th anniversary, Loudoun Mutual moved into a new building on High Street in Waterford, VA, where it remains today.